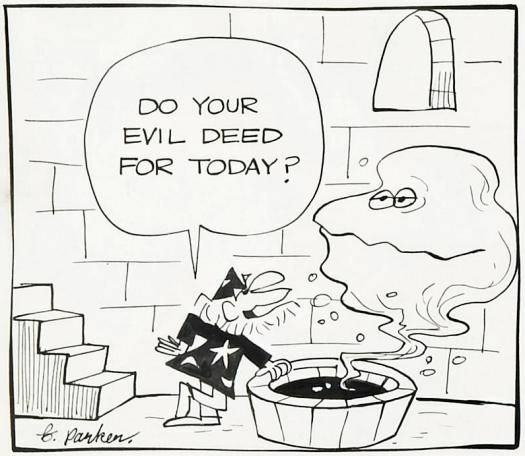 Artist Brant Parker co-created and drew The Wizard of Id comic strip until passing the job on to his son, Jeff Parker, in 1997. 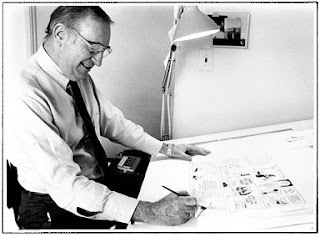 Cartoonist Johnny Hart, his co-creator, continued writing the strip until his own death on April 7, 2007. Parker passed away in April of 2007, here is his short bio he did for the NCS. Born in Los Angeles, California once upon a time long, long ago. Mother was an artist and three years later I was drawing weird, distorted doodles on the walls, floors and furniture, etc. It took another thirty-five years, however, to find my "NICHE". Los Angeles Daily News as a staff artist, trainee and in-B-tweener at Walt Disney Productions, Inc. An editorial cartoonist for Gannett Newspapers' Binghamton Press, freelanced magazine gags, advertising and promotion with IBM. Greeting cards for American Greetings and finally, "The Wizard of Id" comic strip in 1964, not to mention what seemed like a lifetime in the U.S. Navy, somewhere in there. Winning the Reuben was my greatest moment!